Imagine yourself at a cocktail party: the hum of music, the din of conversation, and the smell of high-end fragrances. As you swill your drink, a partygoer approaches you, exchanges pleasantries, and asks, “What are you doing RIGHT now, in this moment?” Later in the evening, another attendee strolls up, goes through the same acceptable small talk, and then puts to you, “What do you want to be doing in ten years, perhaps fifteen?” Which inquiry do you think would yield a richer, more interesting back-and-forth? At Lexicon, we like to think of marketing as a conversation between a company and its customers, and the brand name as the opening line that starts that dialogue. Said another way, your verbal identity – which is that first interaction in the marketplace – sets the tone for how rich and meaningful the experience between your brand and your consumers will be. To illustrate, try this mental exercise. Place these two names side by side: Internet Diamonds and Blue Nile. Then, while timing yourself, sit back, think about each, and write down whatever comes to mind. Focusing solely on the names, speculate on what each company does – or what you think they might do. Push a little more. What might their logos look like, their advertisements sound like, their packaging resemble, their print copy communicate? Chances are you’ll have spent a few minutes, if that, on Internet Diamonds, and your list of associations and thoughts will skew short and uninspired. Why is that? It’s the brand-name equivalent of: “What are you doing RIGHT now?” It efficiently lets you know the core service, at a moment in time, but it doesn’t represent a bigger, growing brand experience. It doesn’t let the brand imagine what it could be. Blue Nile, on the other hand, will likely occupy the imagination for a significantly longer period of time, inspiring a long list of vivid imagery and disparate ideas. 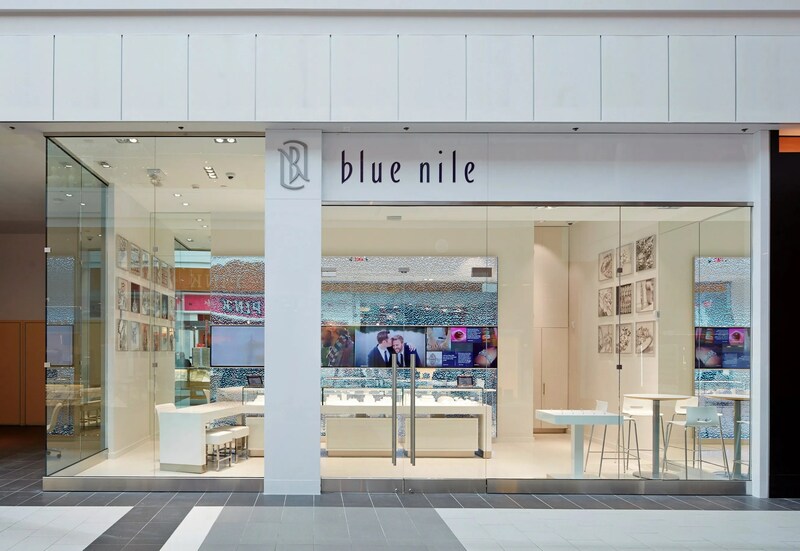 An actual tributary of the massive north-flowing African river, Blue Nile takes the consumer’s mind to a myriad of places. You might go to the gaudy riches of the ancient Egyptian empire. You might picture an indescribably gorgeous mountain lake. You might even think of beautiful sapphires and diamonds right off the bat. This could be a hotel, a bar, or a resort. These rich associations all represent assets for the brand; they can lead to unbelievable storytelling, gorgeous visual identities, and compelling marketing. And it doesn’t lock the company into one core offering or one rigid positioning. That’s because the name is built around the idea of, “Where do you want to be?” – and it doesn’t respond with a definitive answer per se, but with wild and limitless imagination. The reason for such a dramatic difference in richness of thought: the simple, elegant power of a brand name done right. All great brand names generate interest, set the tone, and most importantly, lead a person to a larger narrative – they don’t succinctly tell the entire story in one or two words. Some names accomplish this while being more suggestive, like Apple’s PowerBook or Sears’ Die Hard batteries. Others are more capacious, like Starbucks Coffee or Amazon. Nevertheless, they all have a few key characteristics in common. First, they signal change. They stand up and shout that business is not as usual. Second, they don’t sound or look like their competitors. They don’t shy away from being different. Finally, they stimulate a rich network of neural associations. They want to support growth and interest. The lesson for us is clear. For a brand name to be a strategic asset, it must add significant value from the day it is launched. A name must do more than simply tell the story of a product. A great name starts to weave a compelling narrative that is grander than the product itself – a narrative that can continue to evolve and develop. We understand the appeal of descriptive names; they are easily accessible, they are safe, and sometimes are fitting. However, ultimately, they are one-dimensional and are therefore the beginning of a very brief conversation. A more provocative name, on the other hand, may not seem accessible at first, but it opens up the imagination of consumers and leads to that richer customer dialogue. If you had asked the founders of Blue Nile way back when at a cocktail party where they might see themselves in ten years or even twenty years, they might not have known. They may have had aspirations, goals, benchmarks, and probably some zany ideas. But one thing is for sure: they probably didn’t see themselves opening their first brick-and-mortar, which is precisely what they have just recently done in New York. Try this last mental exercise: imagine the absurdity of walking into a physical storefront of of a company called Internet Diamonds.